Unmana's Words: Day 16 of Feminist Joys: When Is a Tiara Feminist? 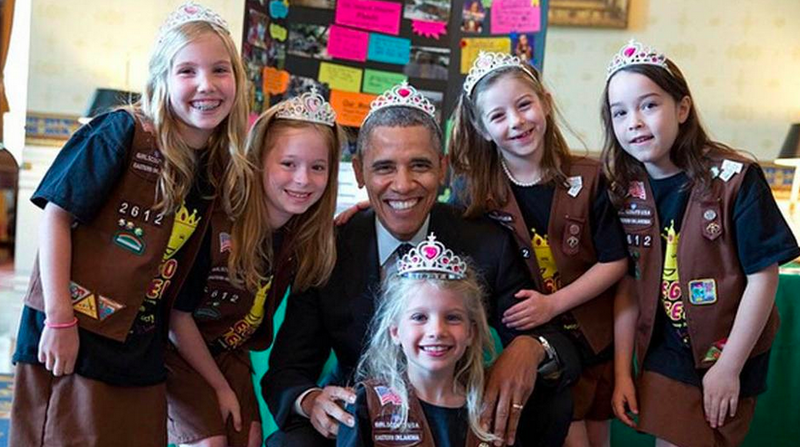 Day 16 of Feminist Joys: When Is a Tiara Feminist? Tiaras are girly, feminine, a weird affectation of girls who want to be spoiled princesses rather than do something worthwhile. This photo got a lot of attention last month, but it still makes me smile so I'm cheating and using it anyway. Everyone in the picture looks adorable, even the guy in the middle. I also, also loved the stunt Obama pulled at his last press conference of 2014. Such a wonderful show of support. Way to be a feminist ally, dude. So every reporter called on in the #ObamaPresser was a woman. Every single one.